Words cannot express how pleased I am with Bath Fitter. Ron was our sales representative and he explained the pricing and what we should expect very clearly. He was friendly as well as professional. We were not ready when Bath Fitter was ready for our install, there was no problem, they worked around our schedule. When Joe and Luis came for the install, they were great. They explained what they would be doing and answered all our questions. When the job was finished all I could say was WOW!!! My bathroom looks brand new. Even my husband who was skeptical was amazed. We would recommend Bath Fitter to anyone. James ** was the installation technician. He got here early and spend some time setting up before he started. He was polite and super professional. He did not stop working the entire day and was very meticulous about his work. The end result was amazing and above and beyond my expectations. After he was done he gave us a summary of the product and the services available to us if anything happen. 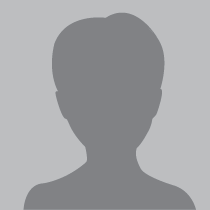 I was very satisfy with the quality of the service and most of all with the quality of the product. Everything was good from purchase to finish with Bath Fitter. I was remodeling, and because of their price, I went with them. Their installers were professional. They cleaned up everything after they completed the job. I've had Bath Fitter for about seven months now and so far, I love it. Bill came by our house to explain the benefits of BF and how they could help us achieve our dream. While the overall cost was high, it is well worth it. Jason arrived early and asked if it was okay for him to start. We showed him the bathroom to be serviced and he was all set. Jason was by himself and said it wouldn't be a problem taking the tub out. We expected him to haul the tub out whole. After some loud noises we saw him carrying out the tub that he cut in half. I looked in about halfway through and was surprised at how busy and thorough he was. 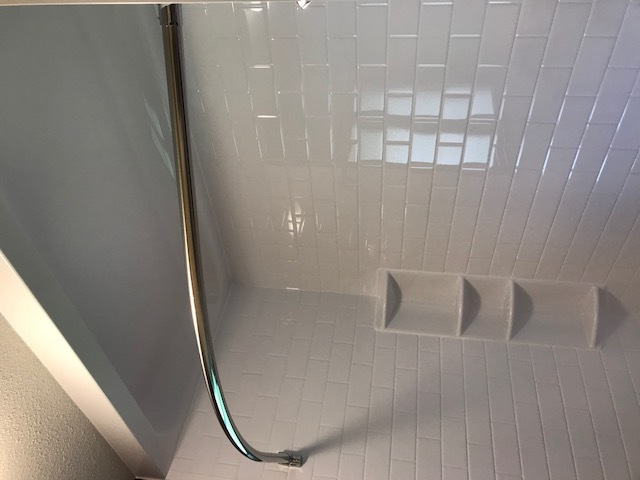 After he had the walls up and fixtures, he asked us where we wanted the grab bars placed. He took measurements off my wife and transferred it to the walls. Upon returning from an appointment, he took a few moments and explained how to operate the sliding hand-held and shower head. (Great pair to have.) He cleaned up after himself and even mentioned some tiling had fallen to the floor below and after seeing where it went, cleaned that up too. After seeing the work involved from before, during and after; the cost quoted is well worth it. My wife and I have used it a couple times and are very happy with the whole job. Great Job Bath Fitter. This new shower will make our lives so much easier and safer. Bath Fitter is an excellent company. I had work done by them 10 years ago. I had a good experience the first time, and when I wanted to have something else done, I went right to them. I'm gonna have more work done by them and they're gonna give me a big discount. They’ve done the surrounding in one apartment and they did a tub in the other. And now, they just went back and did the surround around the tub. And then, I'm gonna have them come in and do something else. The sales rep was very nice, professional and informative. He made good suggestions, answered all our questions and was very patient with us. He did excellent work in explaining everything and offered us different solutions. The installer was there when he was supposed to. 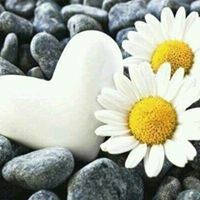 Also, he called me when he was supposed to call, and I was very happy with everything. His attitude was very professional. Our tenant said that one corner was coming out and it just got done so I had to call the installer back and tell him to adhere it down. So, he went back. I'm very happy with Bath Fitter's service and I would go to them again. We tried other remodeling companies but they wanted to remodel the whole bathroom which we didn’t want to. When we called Bath Fitter, they got us an appointment right away and the guys were convenient as far as the payment and how fast they were. Also, it was really true so it was a good choice. The sales rep was knowledgeable and answered all our questions. He was very thorough and he applied for the credit card right away and gave us the information. He guided us a little bit with the products and showed us samples of the material. He also had pictures so it was very nice. We changed the whole bathtub and the installers were fast and good. Bath Fitter is a bit pricey but it is worth it and I recommend them. There is a lifetime guarantee on the product, so whenever there is a problem with it, they will come and fix it. Our experience with Bath Fitter was smooth from Debra the sales consultant and all the way through the install with Martin who was great. 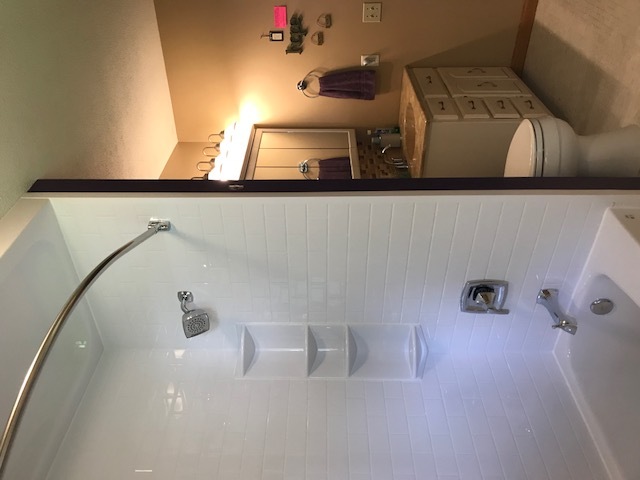 They removed a wall to make the closet shower more open, replaced the plumbing and gave us a more modern shower. Our bathroom actually looks larger than it did. Martin was very professional and friendly had everything done within 24 hrs. He hauled away all the old debris and left no mess. We were left information on how to care for our shower. We would definitely use Bath Fitter again and recommend them to family and friends. I saw the work that Bath Fitter did at my parents’ house. My dad is very particular and he was incredibly happy with the job and what they did was nice. I was able to finally have my long-overdue bathroom done by Bath Fitter as well where they installed a shower. I made my purchase in June and the sales rep was great. She was very patient and showed me everything that I needed to see. She also answered all my questions and it was excellent. The gentleman who did the installation was very professional and did a great job. He told me everything that needed to be done. He was quick and clean, and the shower looks great. It was a 100% great experience with Bath Fitter and I would recommend them again. It's been four months since Bath Fitter did the tub and its surrounding area in my bathroom. I was pleased with everything, and everyone, from the salesman to the person who did the installation, was professional. Overall, Bath Fitter did a perfect job. Everyone who has seen what they did think it's marvelous. In fact, a few had said that they might get Bath Fitter to do theirs too. The whole process was smooth. From the initial call to MN Bath Fitter to the consult and finally installation day. Our old shower controls were losing function and our 49 year old tub and tile work were stained and hard to clean. The drywall behind the fixtures and tile had gotten wet and was crumbling. 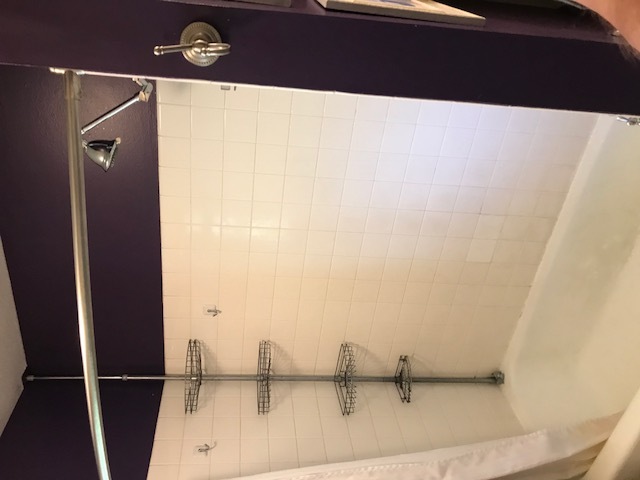 The installer cut and replaced all defective drywall, replaced the valve and installed all new chrome Moen shower fixtures. We couldn't believe how nice the finished product was. It's been around six weeks and it still looks new. We're looking forward to years and years of enjoyment. 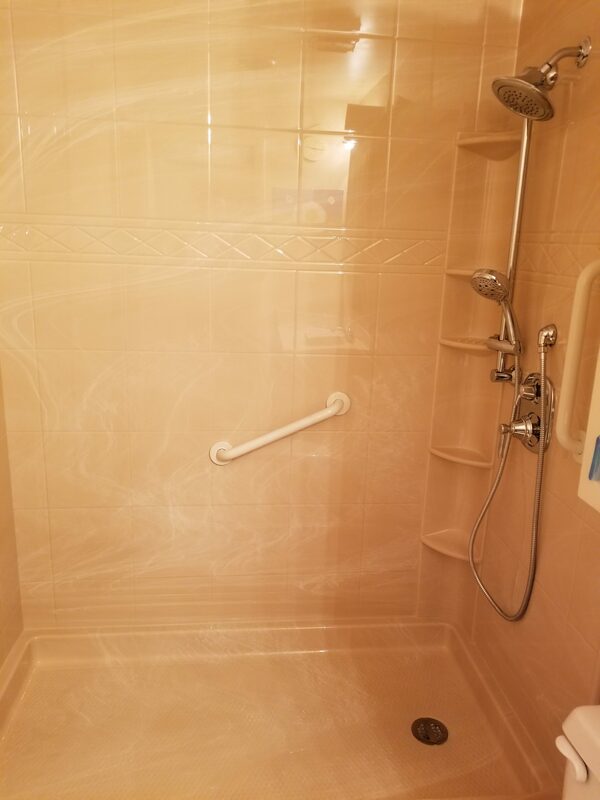 My husband became disabled and we were looking for a shower to replace our old bathtub. We liked the quality of Bath Fitter's products, that it was seamless, and that they would be able to install it within one day. So, we went with them. Their reps were knowledgeable and our interactions with them were really good. At first, they said we'd get the shower in seven or eight weeks and we were concerned. My husband's condition was getting worse so they moved the date up. They worked us in and we had it within three weeks. The installation team was really good and nice. It was raining and they used the garage to work in. They took the bathtub out and replaced it with a walk-in shower. Plus, they cleaned up after themselves. We have it on a payment plan and it helped us. We're really happy with Bath Fitter and we would recommend them. About five months ago, we got a tub-shower combination from Bath Fitter. We went with them as their products are guaranteed for life. The rep handled everything great and the installation was perfect. The installer was real nice and knowledgeable, and did what he said he was gonna do by the time he said he was gonna do it. We’re just completely satisfied and I would recommend them. Tub to shower conversion - We were very pleased with the installation and the professionalism of the installer. He was careful and courteous. He showed up on time. We would definitely have Bath Fitter do any other bathroom remodel we might need and would recommend them to others. We had an old tub with an odd shape. It was cast iron and it wasn't gonna go anywhere, so we had few options for it. We had Bath Fitter convert it into a shower and tub. Working with the sales rep was a positive experience. He was helpful and answered all our questions. The installer was friendly. He was in and out in a day. He knew his stuff and he got the installation done right. So, we were happy with the remodel. We utilized Bath Fitter to remodel our bathrooms. We were very impressed by the quality of service we received. The lady who answered the phone (Patty) was friendly, upbeat and made me feel at ease. The service provided by Kris, Joel, Darren, Alex and Chris was superb. Our bathrooms were remodeled and look fantastic. The follow up care and maintenance service is incredible. All you have to do is make a call, and they will take care of your problems even 2 years after installation of their products. We will recommend Bath fitter without any hesitation to all. Bath Fitter did a remodel for me and it was wonderful. The tenants like it a lot too. I went with Bath Fitter since they looked like they did a good job and it was in my price bracket. Bath Fitter did a new sub-floor, made the new tub and then the walls going around the tub. The job went right on schedule, which took about a day and a half. The guy that installed it was professional as well as the salesperson that came here. We had our shower done seven years ago. 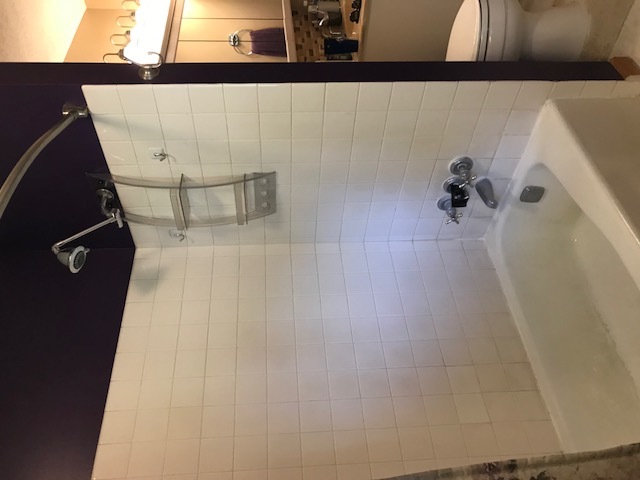 But we knew we were going to be getting older and we wanted to be able to have something that we could get in and out of without having to deal with a bathtub. The people we dealt with worked with us very well and were very accommodating. We had walls done and it was just one guy came out and did it. We were impressed with how fast he had gotten it done. They measured twice and that was very nice and comforting. We were totally happy with Bath Fitter, with the product and the warranty on it. The appearance of our bathroom has changed immensely and it’s easy to clean. We love Bath Fitter and would recommend them. I liked Bath Fitter since they would come and do everything all at one time. We didn't have to have one person in to break down the wall or whatever. They would do everything, and it would be done within 24 hours. The rep came and brought everything to show us the accessories and different models of the wall he has to get. Very thorough, much helpful, described the accessories, and helped me decide what I want and what I didn't want. He's very helpful. An installer came early that morning and did the tub and shower. I felt sorry for him since I could tell he didn't feel good. But he did an excellent job and finished everything from the time he started. I'm very pleased with the bathroom. Everyone that comes and looks at it is so impressed. Someone asked me "On a scale of 1 to a100, a 100 being excellent, how satisfied are you?" And I said "Oh a 100% for sure." I’m a second-time customer of Bath Fitter. This time, I bought a bathtub insert, wall surround and new shower. The interactions with the rep were excellent. The installers did an excellent job as well. I was remodeling the bathroom and I didn’t wanna screw with the tub enclosure again. They came and took care of it and it’s a beautiful-looking product. We had a great experience with Bath Fitter. It was painless, they did exactly what I expected them to do and they put out a good product. They did my wife's parents' bathroom and we got them because they specialize in baths. The sales rep laid it all out for us, including the price and what to expect. We got a full bath and they replaced everything. My wife said everything about the installation was perfect. If you're looking for a place that does baths and specializes in baths with plumbing and everything, they take care of everything. They even moved my shower head up because I'm tall. 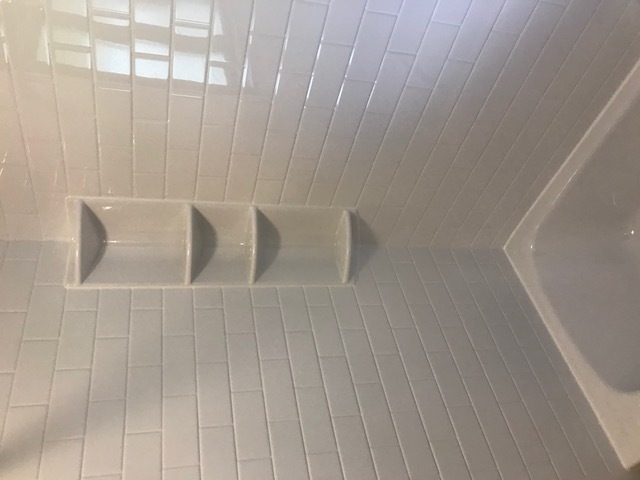 Tub/Wall/Fixture installation - I was very satisfied with my experience with Bath Fitter from the begin to the end. They were absolutely wonderful to do business with, I could not have asked for a better company. They followed through on everything that they promised to do, from scheduling to installation. I would recommend Bath Fitter to everyone. I recently decided to have a small bathroom “remodeled” and didn’t want to spend a fortune, but at the same time was looking for a quality finished product. I had seen Bath Fitter commercials on TV, so I had an interest in checking them out. The whole entire process from in home consultation to installation of the project was beyond my wildest expectations. 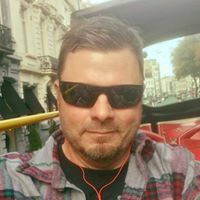 Every person connected with the project was extremely professional, knowledgeable, and courteous. My installer left me in awe of his professionalism and his skill in completing the project in less time than I had expected. I highly recommend Bath Fitter to anyone considering having a bathroom upgrade. I am beyond pleased with the final product. Several years ago we had our bath redone. We had a tub and we're older now, so we wanted a stand up shower. We were very happy with Bath Fitter the first time, so we went with them the second time. We would highly recommend their sales rep and the installer. They did a wonderful job. Everything is working perfectly so I'd recommend them to somebody else. In fact, we did recommend them to some friends. The price was probably a little more than some of the rest of them, but they did an excellent job and that’s what we were more concerned with. I researched the website and made a few calls and Bath Fitter seemed to have pretty good track record. They ended up putting an actual liner, an insertion bathtub about three weeks ago. Everything went fine and the installers did really well too. I've been a contractor for a long time and I have to say that I couldn’t have asked for a better experience. Bath Fitter was amazing and they did a really good job. When they started and were talking to me, I could pick up what they knew. They were very professional, courteous, and did what they said they were going to do. They called when they said they were going to call. They were there when they said they were going to be there. I would definitely use them again on a bigger project if it comes up. It's really cost-effective nobody would regret it if you ever did it. 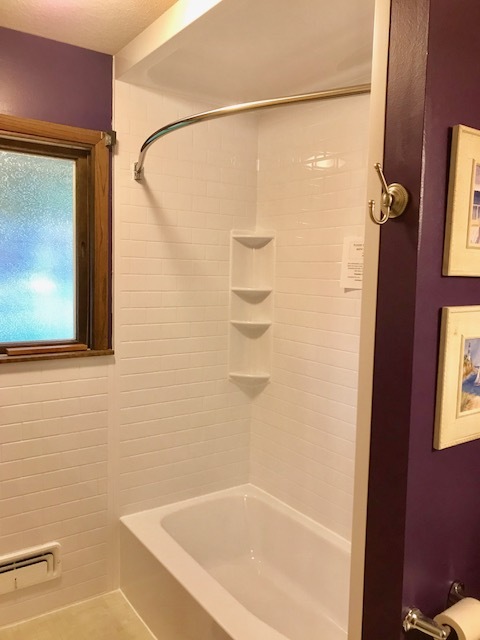 Bath Fitter's focus and specialty are in remodeling bathrooms, and since we were willing to pay for that, instead of calling a general contractor in, we went with them. We had a remodel upstairs and everything went well. We had a shower in our master bathroom and we had them install a tub under the shower too. The quality of the product is good. We initiated sometime in November or October and we had a lot of things going on. So, we finally got it finished up in January. They worked around our schedule, and were very, very good. The rep was helpful and he explained everything to a tee. During the installation, my wife was the one here and she indicated to me that everything went well. The installation went very clean, without any mess nor worries. I would recommend them to friends and family. I purchased a walk-in shower from Bath Fitter in October. I saw their booth at the state fair and I liked the product and the way it looks. I had them come out and show me what they had to offer. The rep was very personable and explained everything. He did an excellent job. I liked the fact that they could do it in one day, and it was all one piece. The installer who came was friendly and very competent in what he was doing. He was busy and worked the whole time but he was willing to answer any questions that I had. The work done was excellent quality. I would definitely tell people that it was worth the money. The Bath Fitter sales rep answered every single one of our questions and showed us things that we didn’t even think about. My husband and I really enjoyed talking to her because she was very nice. She was also very good and professional, and we were very pleased with her. Everything sounded really great. We were very thrilled and we decided to go for it. My husband uses a walker and has a hard time getting around. We got the shower with the seat and the different bars for him. The installer came out afterward and asked us where we’d like stuff placed. He had my husband walk over and showed him what he thought would work. He covered everything before he even came in to walk to the bathroom. When he put in the drain underneath, he had that all covered in the basement. Even though the room in the base where he had to work was not finished, he still put stuff down. Everything was also vacuumed and cleaned up wonderfully. The products worked out marvelous. Not only did we get the shower head, but there’s an extension thing that goes right near the seat, so my husband could just sit there and shower. We are very pleased with them. Bath Fitter's sales reps were all polite and nice when I purchased the shower about eight weeks ago.They said what they did and they did what they said. Bath Fitter's advertisement said they could do the job in a day and it was nicely done. The product is very nice too. I'm satisfied and I'd tell others that they will be pleased as well. I had an awesome experience with Bath Fitter. They were the only ones who showed up for an estimate after a neighbor recommended them and I contacted three places. They remodeled my bathroom and put a shower in July. The installer was excellent. He went through everything, did all the measurements, explained what would happen, and it was great. He was meticulous. He was so clean you’d never know he was there. He was completely incredible. We liked what we've heard about Bath Fitter and the costs involved. Plus, they did quality work. We had the bathtub and shower set up, and it's very nice. It certainly beats what we replaced, which was a fiberglass tub. All of their people, from the installer to the salesperson, were quality people. We’re very satisfied and we have recommended them.